Massage therapy can improve your physical health, intellectual health, emotional health, spiritual health, and social health. I wish I could come in more often for massage. Why did I wait so long to book this appointment? I had no idea how badly I needed this massage. I need to get my friends and family in here to have a massage. If any of these comments resonate with you, I encourage you to book your massage soon! 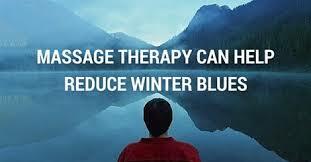 I generally get a massage every 2 to 3 weeks and I alternate between 2 different massage therapists. Despite how energized or tired my body is feeling I am always so pleased to see that appointment on my calendar. It is a window of time I treasure. I turn my phone on silent and totally unplug from reality. I encourage you to do the same! If you are looking for a new Ann Arbor massage therapist I encourage you to schedule with me, Heidi Johnson, at Thrive Massage and Bodywork at 2500 Packard Street in Ann Arbor to experience my style and approach to massage therapy. Let me help you feel good, live well and thrive!